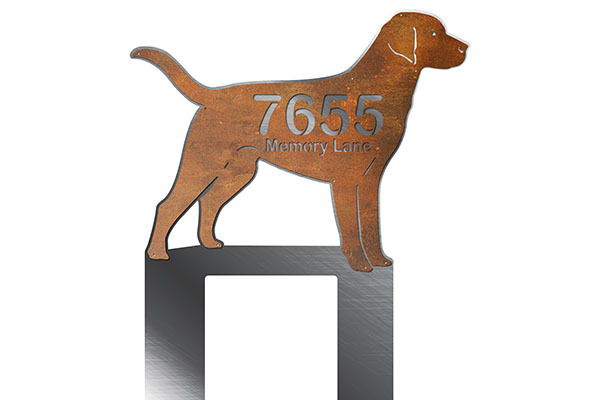 At Smith Steelworks, our laser cut address signs are made to order. 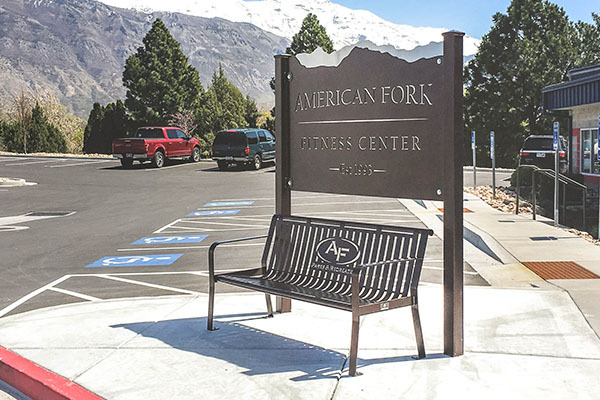 Each sign is available with custom sizes, shapes, powder coating or rustic finishes, and much more. We use the highest-quality material and process to ensure that the address sign will last for years to come. 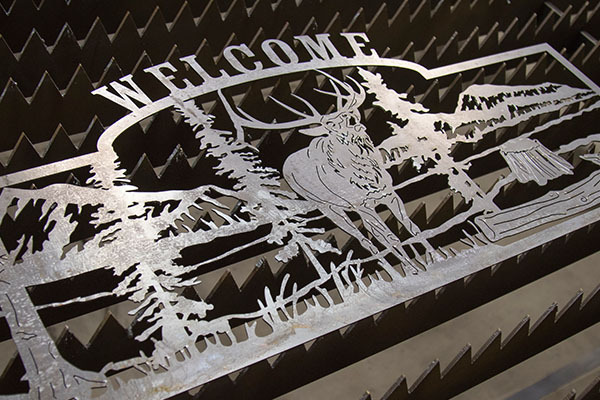 To get started on your laser cut sign, give us a call at (801) 414-1724 or click the link below. 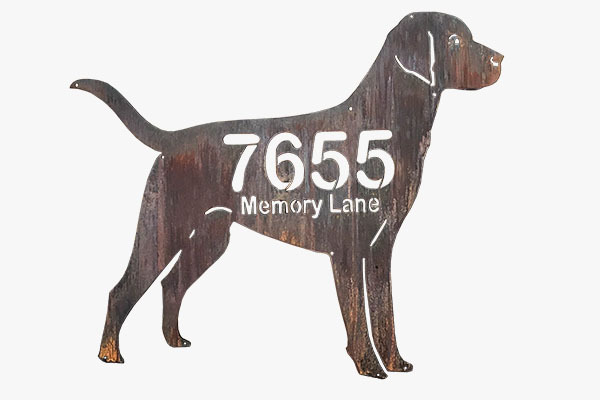 To start your metal address sign, send us the dimensions you’ll need along with your design ideas. Our team will take your ideas and turn it into a proof. 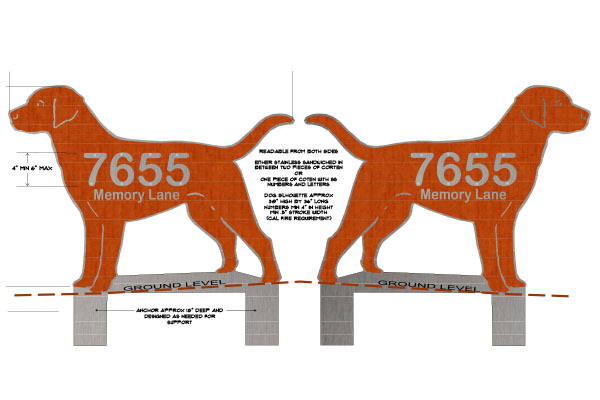 Our design team will use your ideas and create a proof of the address sign that is ready for laser cutting. It will be sent to your for approval before cutting. 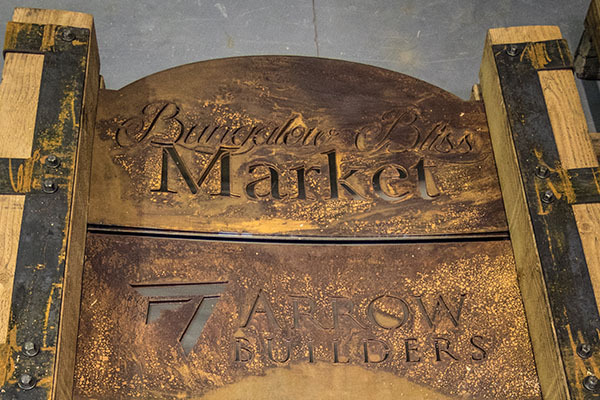 After the metal sign is laser cut, it is sandblasted, primed, and powder coated for a vibrant, weatherproof finish. The address sign is then mailed directly to you. 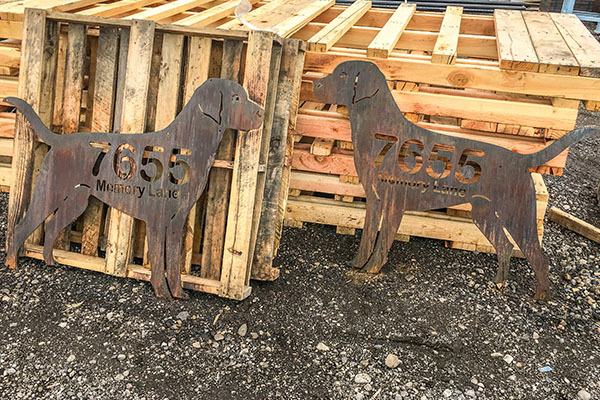 At Smith Steel Works, we design custom name and address signs for each order. Send us your ideas via Word Document, scribbles, illustrator, etc. and our team will take them and create a proof that is ready to be laser cut. 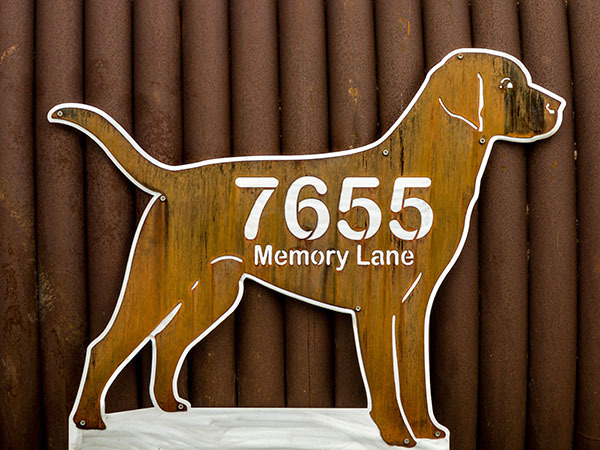 Our laser cut name and address signs are designed for indoor or outdoor installation. When ordering, be sure to specify the dimensions you will need, as well as details on how/where it will be installed. For added customization, we offer a large selection of powder coating colors ranging from vibrant to classic hues. The powder coat provides a lustrous finish that stays looking new year after year. 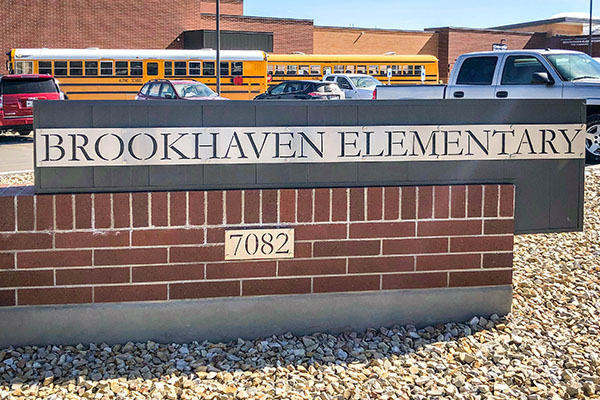 Each name and address sign is sandblasted, primed, and powder coated to create a weatherproof finish on the metal. The durable layer helps protect the address signs from scratches, peels, flakes, etc. which could cause rust and corrosion to form. 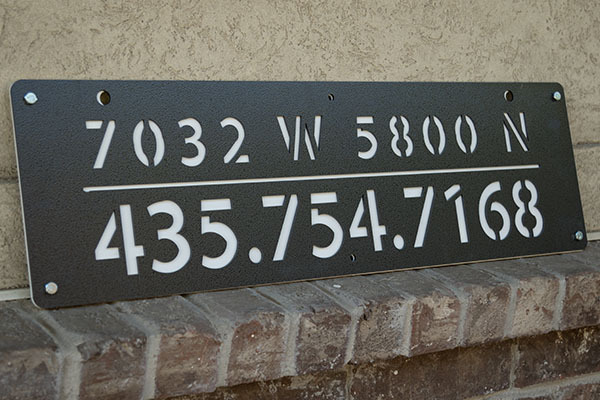 Rustic finish is one of our most popular options for address signs. We use a special solution to start the rusting process before shipping the sign out. Once installed, the address sign will continue to rust gracefully overtime. Make your business standout with a custom laser cut sign installed at your business front. 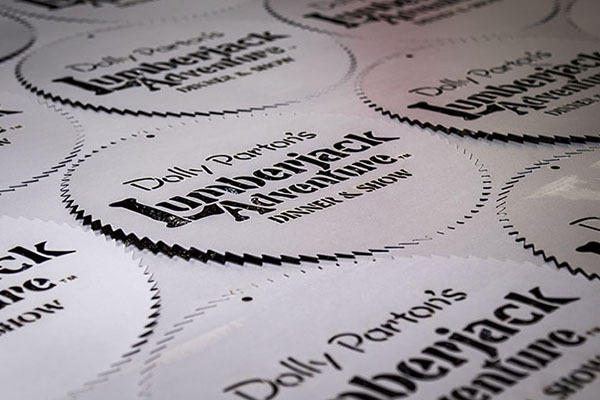 Order your campground markers with laser cut designs and weatherproof finishes. The rustic sign trend is one of our favorite styles for address signs. Even add custom shapes! 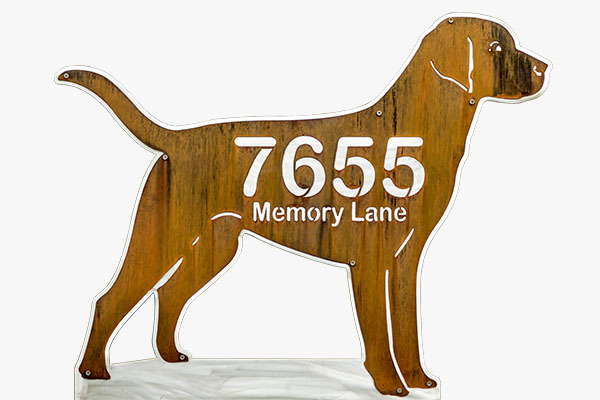 Each address sign is fully customizable including: inscriptions, portraits, and more. Choose the metal finish, inscription options, logo integration, and other custom options. Order a custom address sign with multi-layering options and powder coating finishes. 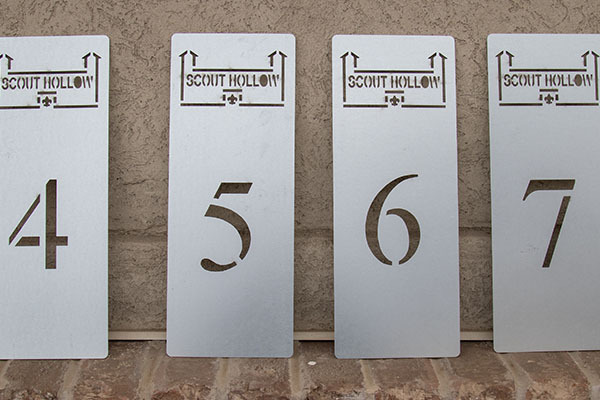 Create your custom stainless steel address signs for business fronts and special events.